For those of a certain age - you will remember Mark Morriss as frontman of the band The Bluetones. He's back with a new solo album & tour (we caught him in Manchester and thoroughly enjoyed the gig), so we thought it was about time to find out the all important question that most fans want to know..... what's his favourite cheese. 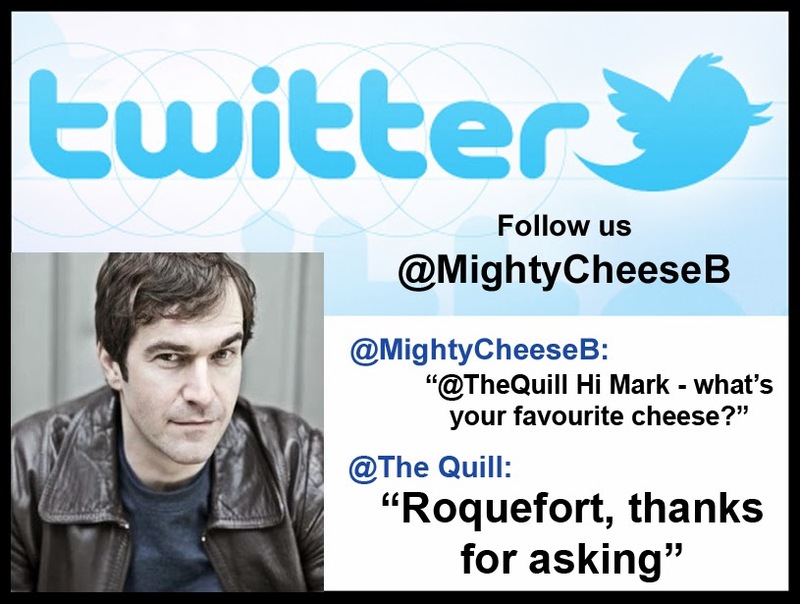 The Mighty Cheeseboard can reveal that it is Roqufort - thanks for taking the time to reply Mark! What??? a cheese from supermarket giant Tesco??? Yes yes yes - like most people I love buying cheese fresh from the counter of my local cheese shop or independent deli, but necessity sometimes rules the day and there are actually plenty of cracking cheeses in the finest or taste the difference ranges in major supermarkets these days. This particular cheese was a lovely creamy, salty cheese and was not overly strong in the blue tang. 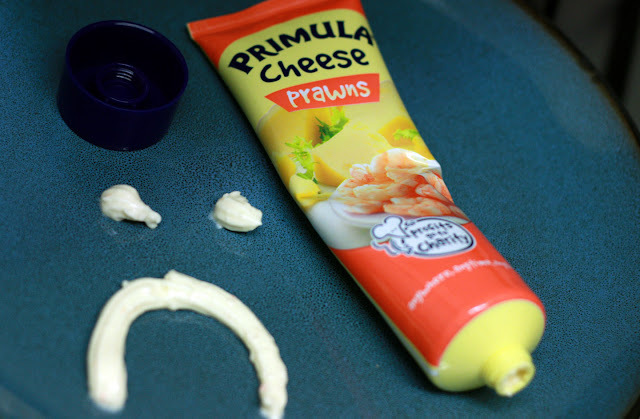 A pleasant eat on its own, but I found it even better as the base for a blue cheese sauce - it just melted down into a cheesegasmic pourable sauce that tasted bloomin marvellous - thank you Tesco!!! Ahoy there cheese fans - after a long break from cheese blogging the Mighty Cheeseboard is back with this award winning little number as cheese of the day! 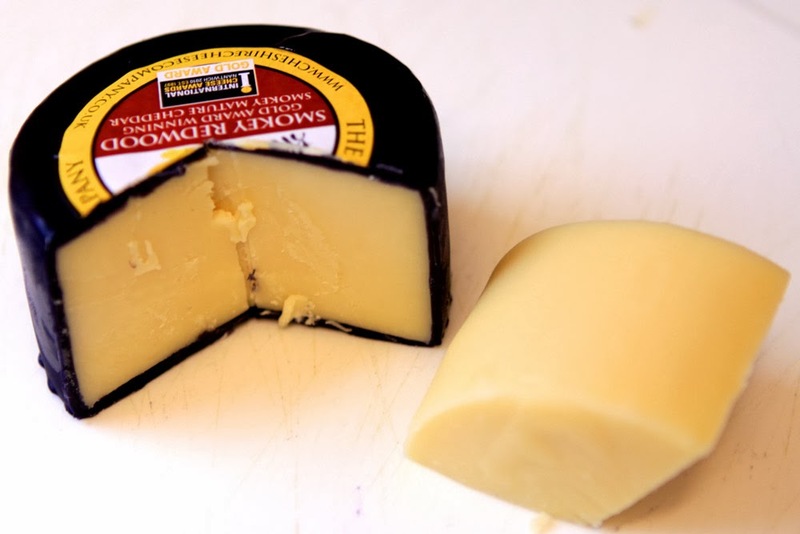 Its called Smokey Redwood and is made by the fantastic Cheshire Cheese Company. Smokey Redwood is a true delight - its quite a soft and smooth textured cheddar with a strong mature flavour and a gentle paprika smokey finsh. 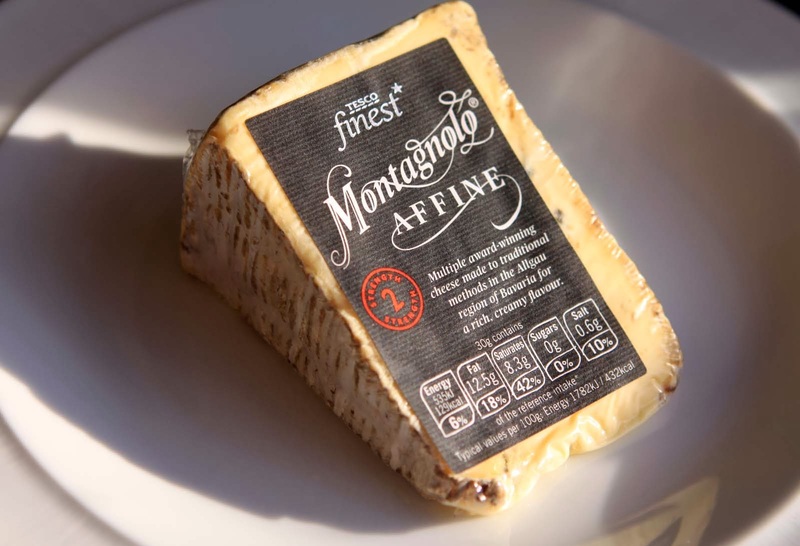 If you like a smoked cheese, but sometimes find them too strong on the old smoking, then this cheese is just the ticket to tickle your tastebuds. 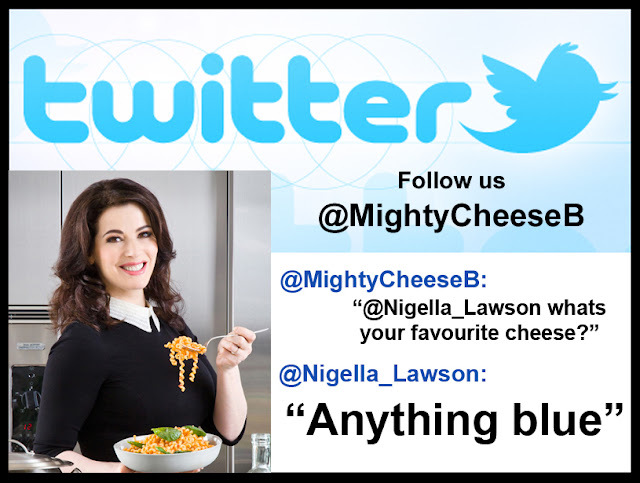 Nigella likes a bit of blue! We asked Nigella Lawson what her favourite cheese is and is seems "Anything blue" goes with Nigella! Might have to go out and get a nice block of Stilton now! An appropriate quote from Nigella that a Twitter follower retweeted following our twitter conversation is "a good cheese should have a pulse"
Having had a busy start to the year, I feel I may have neglected the Mighty Cheeseboard blog for a while - for those followers who have been waiting for more updates, I am back with a renewed taste for cheese - mainly after tasting this particular Spanish delight. 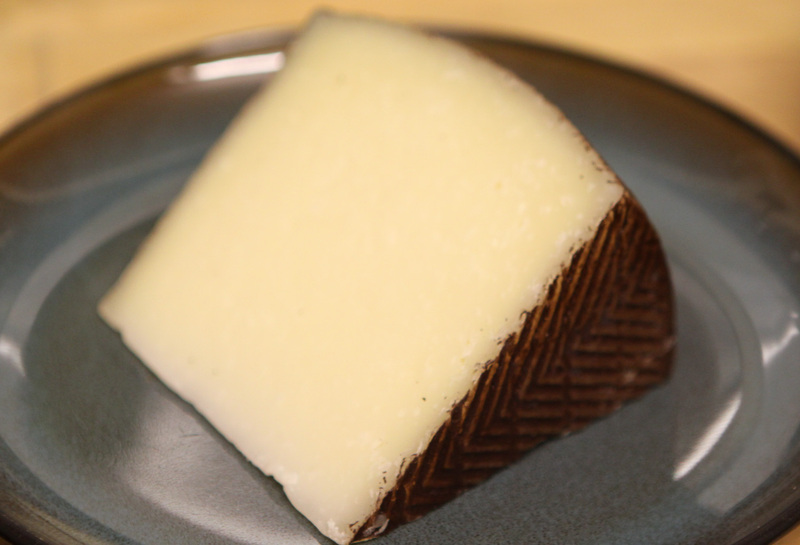 Garcia Baquero Iberico is a mature Manchego-like cheese. Its got the slight sweetness & nutty taste that Manchego has, but aged for 6 months, has a more complex taste and is slightly less dense than regular Manchego. Its made of a mixture of Sheep, Goat and Cow's milk (40% Sheep, 35% Goat & 25% Cow). Texture-wise its slightly firmer/harder than a good solid cheddar. A Spanish delight that would be a great addition to any tapas feast or just ate on its own with a caramalised onion chutney or a sweet chilli jam. Not quite as adventurous as her dress sense, but glad to hear she feels the need to share her favourite cheeses with the world. 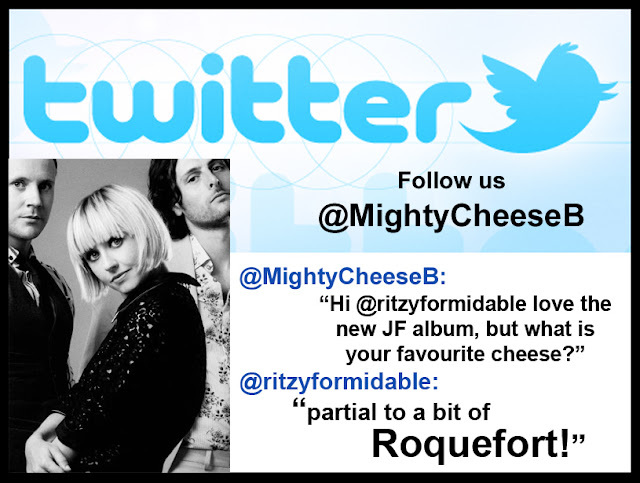 Welsh rockers The Joy Formidable released their 2nd album this week "Wolf's Law" but frontwoman Ritzy Bryan still found time to let the Mighty Cheeseboard know what she's partial to...... a bit of Roquefort! If you follow music you will have seen (and heard) Django Django. Most of the big music publications had the Django's down as being in their end of year round-ups and "top albums of 2012" lists. And here at The Mighty Cheeseboard - we also like to keep our finger on the (blue viegn) pulse! 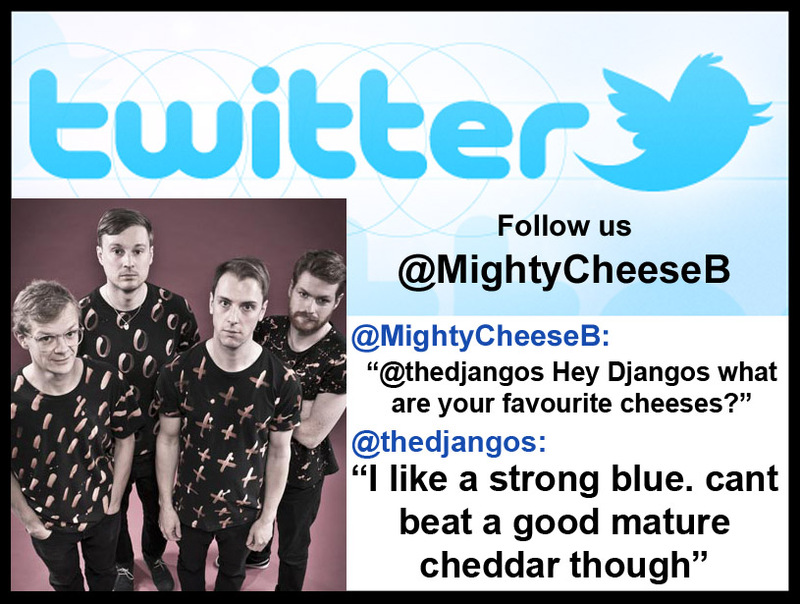 So we asked them what their favourite cheese was.... We are unsure as to which Django Django member actually tweeted, but as you can see from the above he likes his cheese strong & mature!!! Keep on writing those killer tunes Djangos - fueled on your strong cheeses!!! The latest in our "When Cheese Goes Wrong" series is Primula cheese with Prawns - yes you heard right..... that's the rather disgusting combination of squeezable nasty processed cream cheese with the combination of Prawns! I dont really know what else to say about this...... do people with tastebuds actually buy this?? ?